You have a lot invested in lawn equipment like your cultivator, keep it working like new and avoid letting that investment go to waste by regularly scheduling maintenance and repairs. 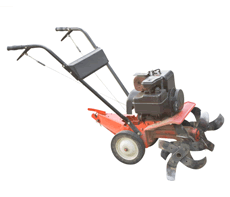 AltaQuip specializes in the repair and maintenance of lawn cultivators. Let us help you protect your investment, bring your cultivator into the nearest ReadyRepair location and we will perform the necessary repairs or maintenance in a timely and competitively priced fashion.